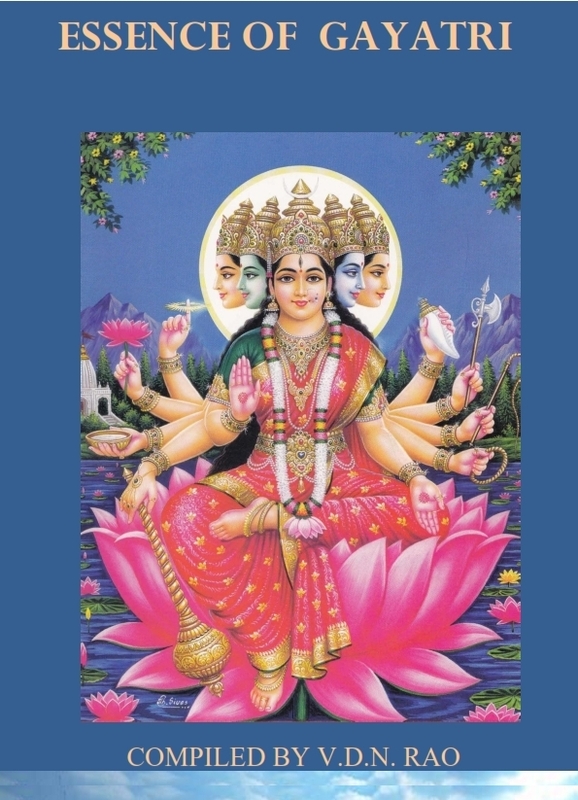 Essence of Gayatri -is compiled, composed and interpreted by V.D.N.Rao. Gayatri is the Symbol of Inner Strength, Knowledge and Purity of Inner-Consciousness. Omkaara is like an unfathomable ocean into which all kinds of meditations and worships of various forms of Paramatma merge into! Practice of Gayatri worship thus leads to inward happiness, better sensory perception, stress management, emotional balancing, and pointed mental focus.